Prime Minister Sheikh Hasina will address a press conference on Sunday about the outcome of her just-concluded official visit to Nepal. 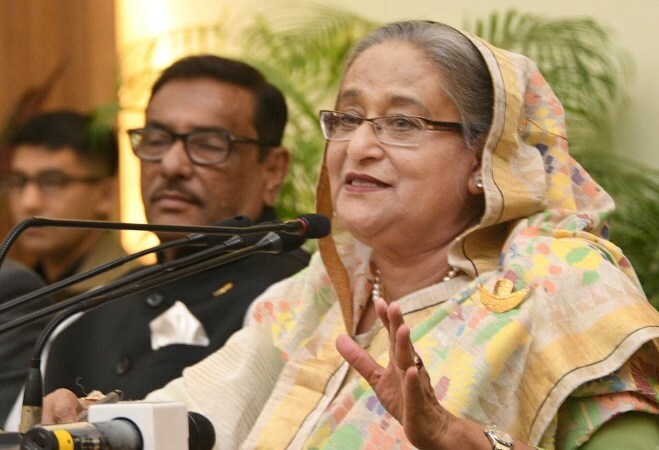 “The press conference will be held at her official Ganabhaban residence at 4 pm on Sunday,” PM’s Press Secretary Ihsanul Karim said. The prime minister paid the visit to Nepal on August 30-31 to attend 4th Summit of the Bay of Bengal Initiative for Multi-Sectoral Technical and Economic Cooperation (BIMSTEC).